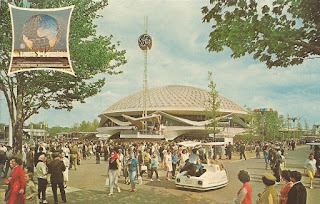 One of four pavilions designed by Walt Disney for the fair. 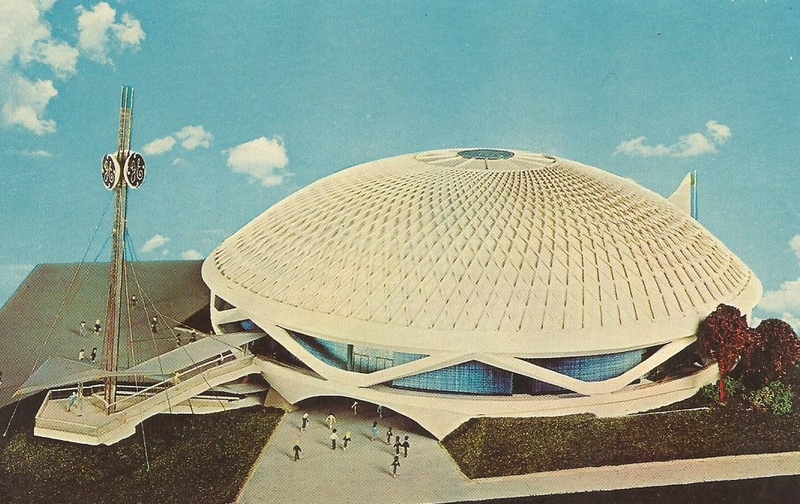 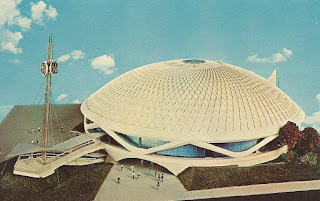 This architecturally unique structure houses exciting exhibits created by Walt Disney, including Sky Dome Spectacular, actual fusion of atoms, and a show featuring electronically controled, animated human-like figures. 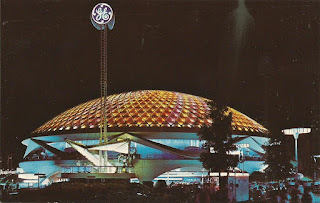 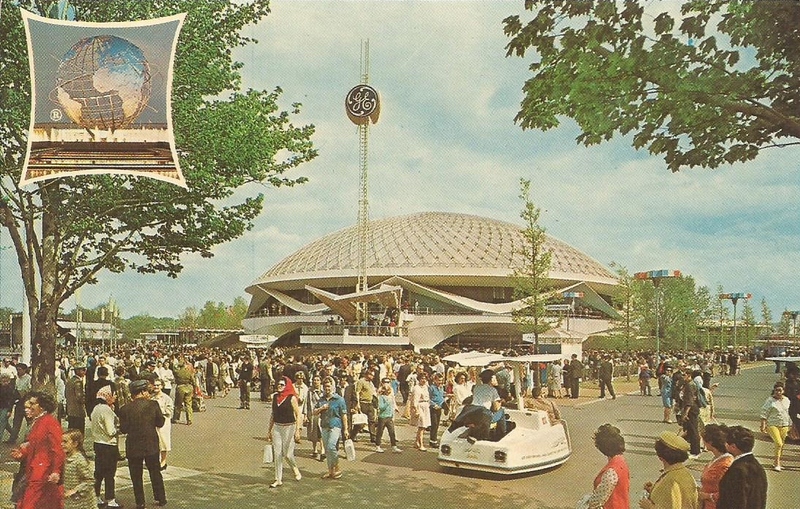 "Progressland" is the theme of the General Electric exhibit. 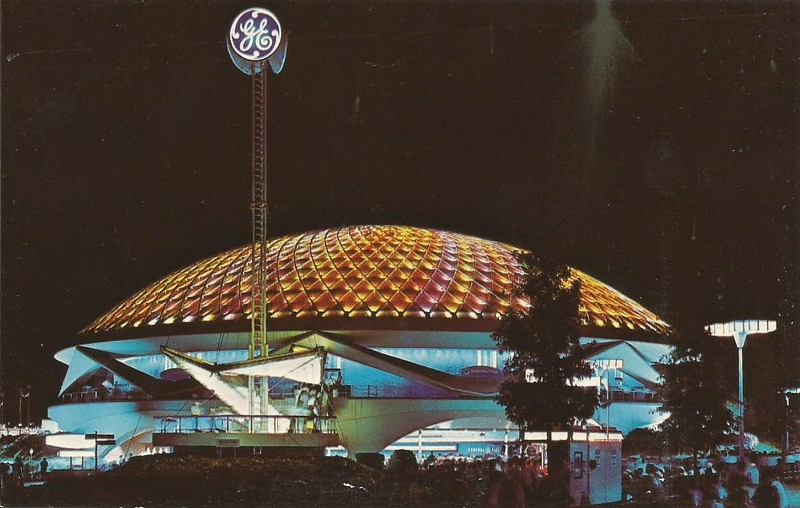 Under a huge, gleaming dome suspended from spiraling pipes, the GE exhibit depicts the history of electricity, from its beginnings to the mighty bang of nuclear fusion.